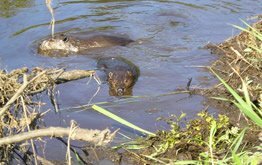 The Beaver Institute provides technical and financial assistance to public and private landowners experiencing beaver dam flooding and other conflicts. 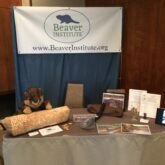 The Beaver Institute supports scientific beaver and ecosystem research to increase our knowledge and improve beaver management. 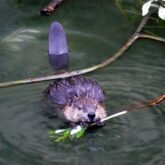 The Beaver Institute supports education to raise societal awareness of the importance of this Keystone species for biodiversity, endangered species, water storage, stream and watershed restoration, and combating climate change. We are working towards the day when all beaver-human conflicts will be effectively resolved in a science-based manner to protect human interests, promote biodiversity, and maximize the many valuable ecosystem services provided by beavers. For our Mission and Vision to succeed we rely on like-minded individuals and organizations for volunteers and financial support. View some of the Beaver Institute’s favorite photos of beavers, beaver dams, wetlands, flow devices and more from across the country. 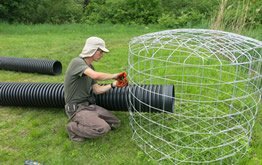 To provide technical and financial assistance to public and private landowners experiencing beaver conflicts, support scientific research, train mitigation professionals, and increase public appreciation of the beaver’s critical role in creating healthy wetland ecosystems.